I’ve been on a search for some fun throw pillows to add some color to the bedroom but I was never able to find exactly what I was looking for. So instead of settling I decided to bring out the sewing machine and whip up a few envelope pillow cases of my own. The last time I made envelope pillow cases, I didnt overlap the back enough so I had to use velcro to keep them close. But thanks to an awesome simple tutorial from Anna, on her blog Take The Side Street, I had nothing to worry about this time. 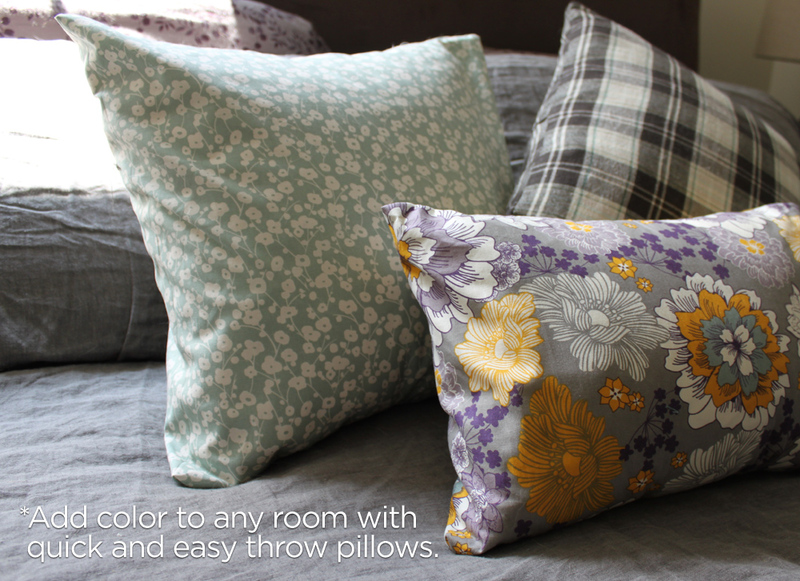 She shows you how to make an easy painless pillow cover. And the best part about her tutorial? You only have to cut one piece of fabric! 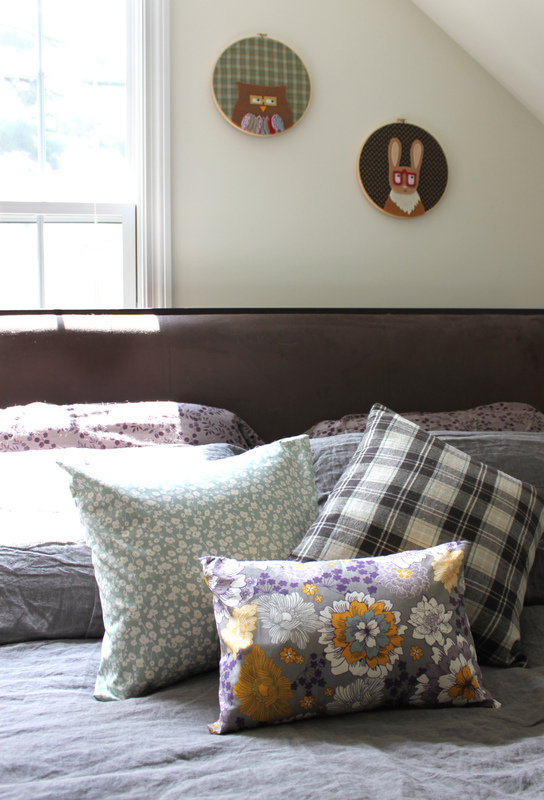 I love how the bedroom looks now with these little pops of color and it only took half a yard of fabric for each colorful cushion. P.S. Those adorable wall hangings were made my the amazingly talented Anisa at Nonsense Institute. No Responses to "Quick and easy throw pillows"